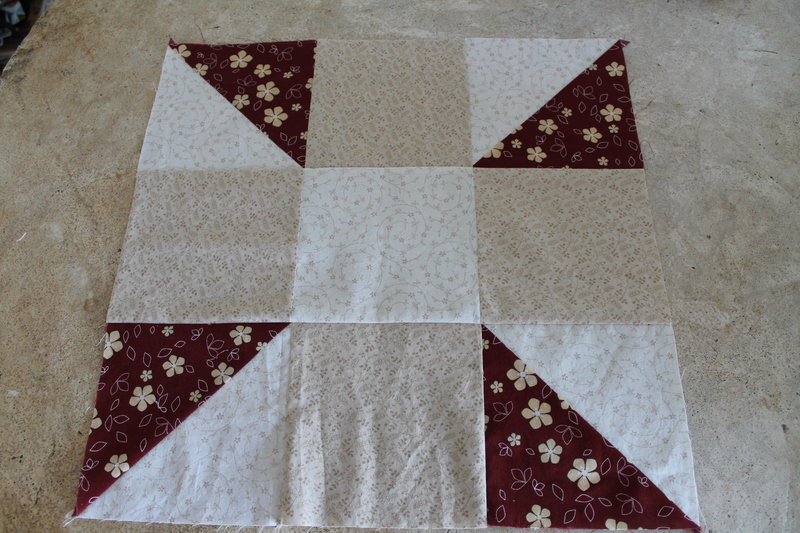 Sew What Monday: finished quilt blocks! 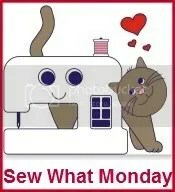 I’ve decided to team up with Carol at Fun Threads and her “Sew What Monday” linky to show off what crafts i might actually get done over the weekend. Today was special because Ben went back to school, allowing me that precious studio time i haven’t really gotten in three weeks. Oh, the Old Man has given me some time, here and there, but i always feel guilty if i’m in there too long, yada yada yada. But this time, the school studio time is great because once he’s on the bus i am free–for at least 2 hours. Since i sew fast, that can be a really good thing. 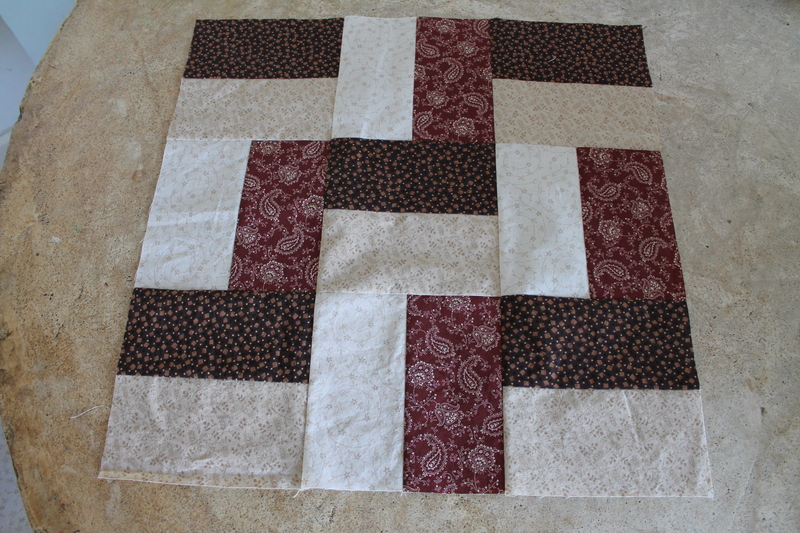 I am WAY behind on my 2011 Block of the Month quilts, and getting ready to start a few for 2012, so i’m using my time right now to catch up. 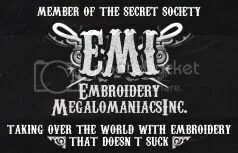 I’m lucky to say that it’s been paying customers that have gotten in the way of me finishing them, so i can’t complain too much! 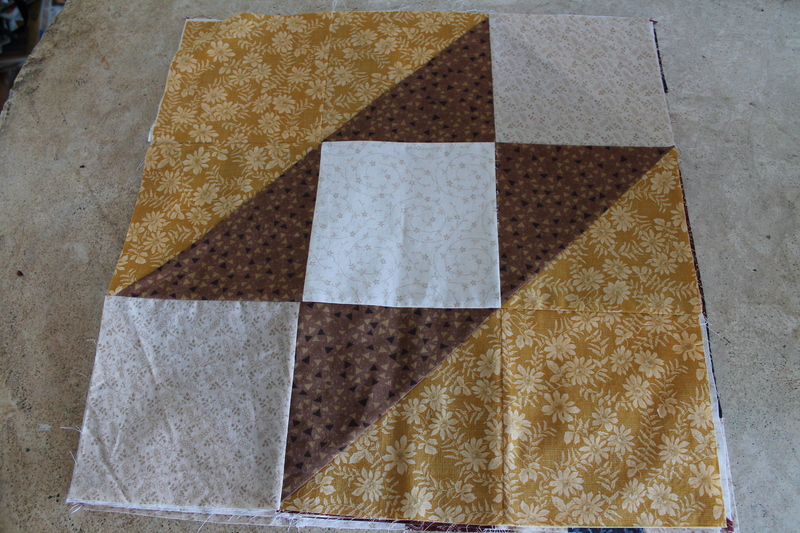 But i don’t wanna start any new quilts until i finish the blocks for these. 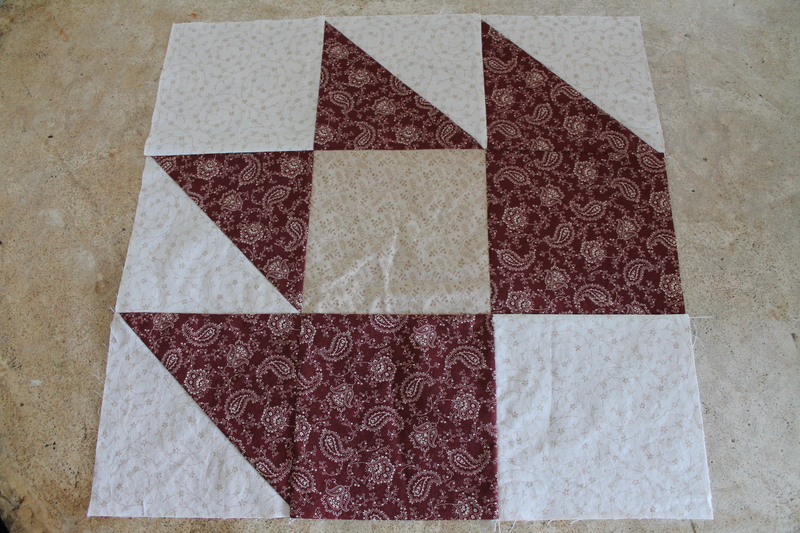 Today i finished the blocks for the Purely Nine quilt from BOMquilts.com. She still has to give the finishing instructions–but it’s just sashing. 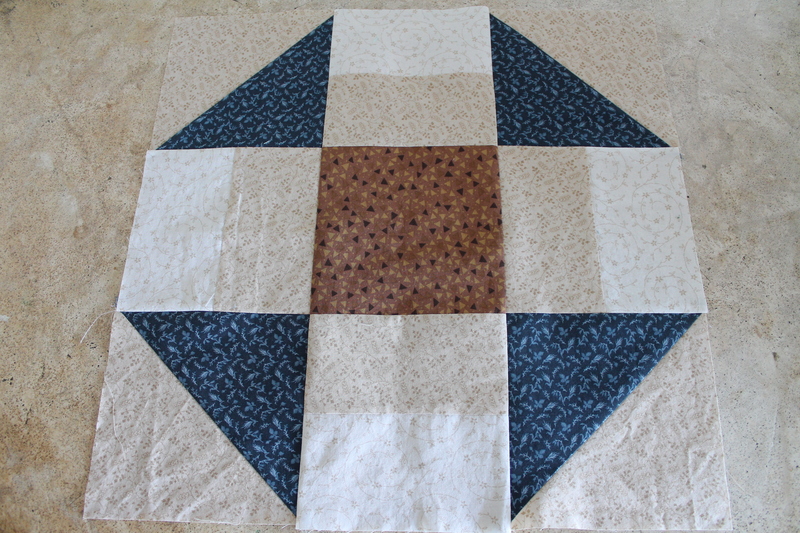 The blocks are really big–16inches, and will be a great template for trying some new free-motion quilting techniques or patterns i picked up at the quilt show last year. This entry was posted in quilting and tagged block of the month, block of the month quilts, free motion, quilt show, studio time. Bookmark the permalink. 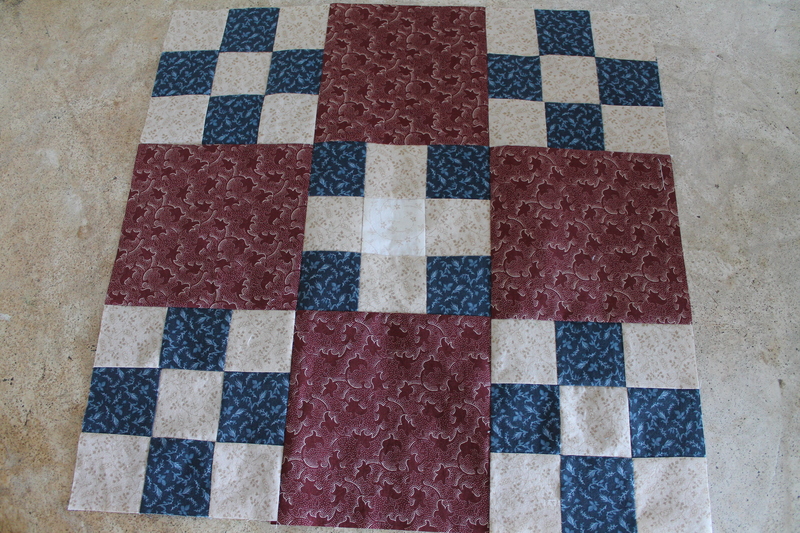 2 Responses to Sew What Monday: finished quilt blocks! I love the colors in those blocks. So warm and inviting. I can’t wait to see it finished. A two hour block of quiet sewing time is fantastic!